This is a picture of what happened in some Winters on my terrace/Patio. Not all simultaneously, but after each other. So I gathered the birds and squirrels in my mind, and inserted them in one picture. You can stitch it – very detailed- over-one, or more gently to the eye – over two. You may stitch with – or without Squirrels…. Lots of snow and bare trees give the real winter feeling , and many of the threads are chosen to show the sparkle of ice and snow. 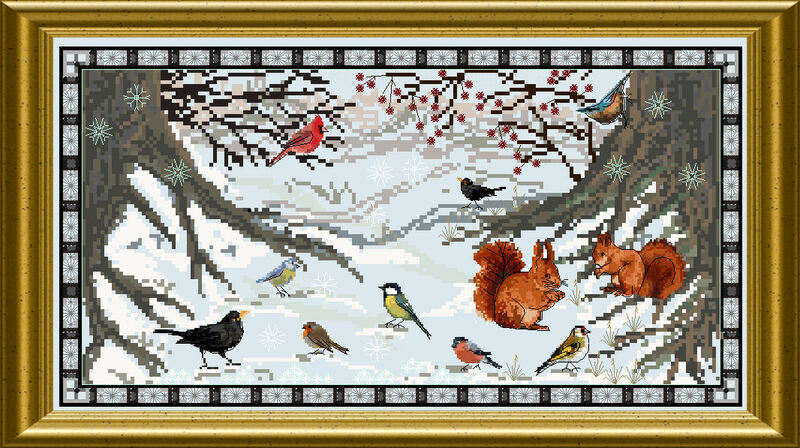 Long- and Backstitch snowflakes fall from the skies, and the last frozen berries (in Special Stitches) are saved for hungry birds. 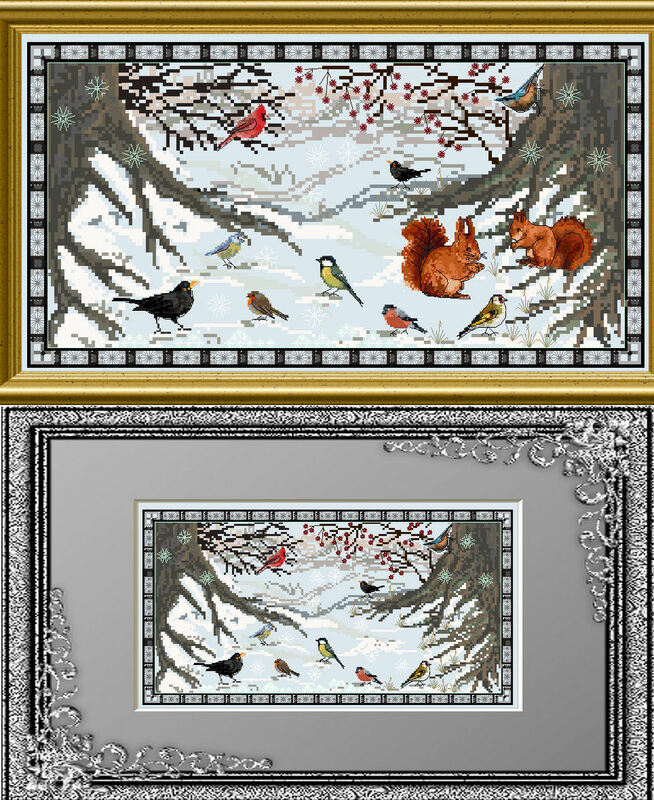 The mere design size of this piece, including the ornate frame is 182 x 96 stitches.